October 12, 2018 6:16 pm. The Taj Mahal, winner of the JRA Cup at The Valley, will now be aimed at the Caulfield Cup. 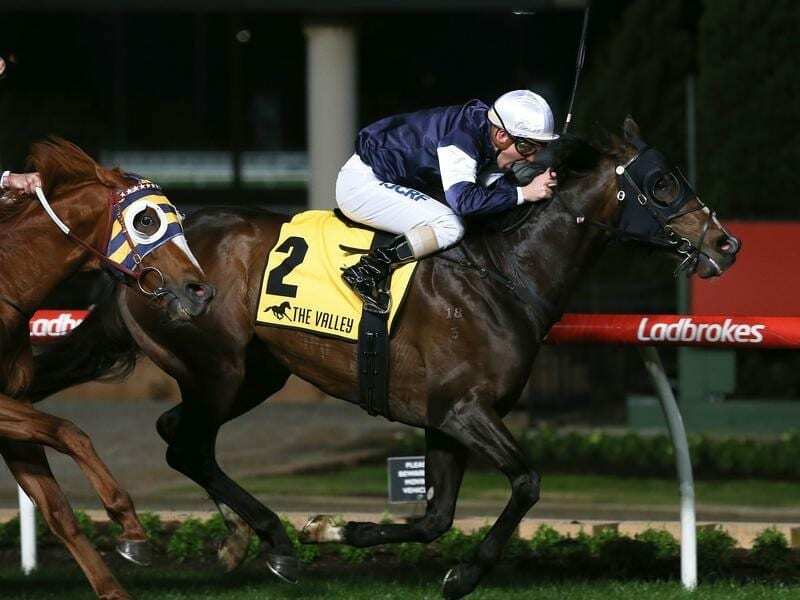 Nick Williams has pinpointed the Caulfield Cup as a suitable spring target for The Taj Mahal after his narrow win in the JRA Cup at Moonee Valley. After a wide early passage, The Taj Mahal was sent forward outside the leader with 1200m to run in the 2040m Group Three race by Ben Melham. Despite tiring late The Taj Mahal held off Gallic Chieftain with Sir Isaac Newton, a stablemate of the winner, third. Williams said his fellow owner, father Lloyd, and racing manager Malcolm McLaren would have the final say on whether The Taj Mahal tackles the Caulfield Cup. The Taj Mahal is currently 17th in the ballot order for the 2400m handicap on October 20. Williams said The Taj Mahal would need another run before the Caulfield Cup indicating the Turnbull Stakes at Flemington on October 6, in which he would clash with Winx, or the Caulfield Stakes the following, week were likely contests. “He’s a gross stallion and he’ll need another run,” Williams said. “The Caulfield Stakes is the first race that springs to mind but dad and Malcolm will decide that in due course. The victory brought up a double for Melham after he guided I Am A Star to success in the Stocks Stakes.